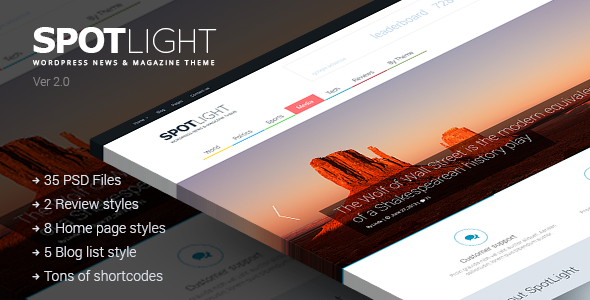 SpotLight is a News, Magazine and Blog Theme with a clean modern design and big functional options! This template has emphasis on content and different elements for multipurpose usewill and it is perfectly suit for your news eviews website or blog. HTML and WP coming soon!